Fields in Texas were meant to help make the country a bigger exporter of black gold than Saudi next year. But pipeline construction is delayed longer just as American inventories are falling. U.S. drillers risk losing control of the market the longer logistics problems linger. 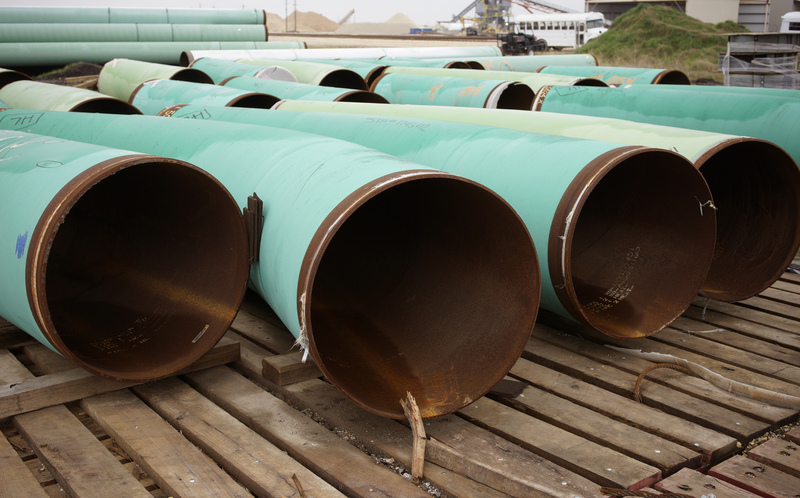 Pieces of pipes stored at the pipe yard for the Houston Lateral Project, a component of the Keystone pipeline system, are pictured in Houston, Texas March 5, 2014. The global supply of oil reached a record 100 million barrels per day in August, according to the International Energy Agency, as higher output from the Organization of the Petroleum Exporting Countries accounted for declines elsewhere. On Sept. 12 the U.S. Energy Information Administration said that U.S. crude inventories fell in the week ended Sept. 7 below 400 million barrels, more than expected. At 11:04 a.m. EDT, Brent crude was trading at $77.76 a barrel. West Texas Intermediate prices were at $68.43.